*Information presented is considered reliable. 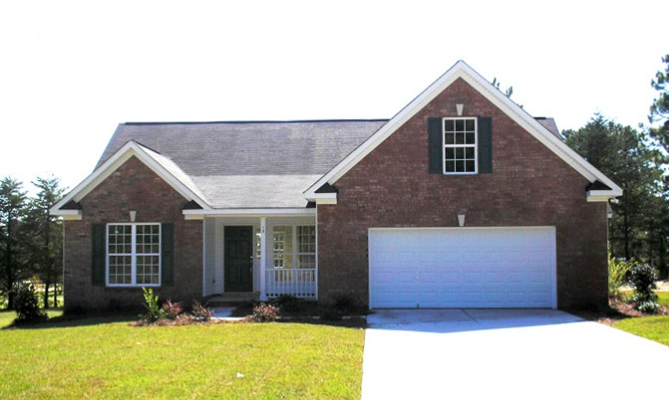 C and C Builders of Columbia, Inc., however, does not guarantee the accuracy of any information listed above. All features and other information are all subject to change without notice. It is suggested that before visiting a property, the builder be contacted to verify the information. Floor Plans May Include Upgrades. 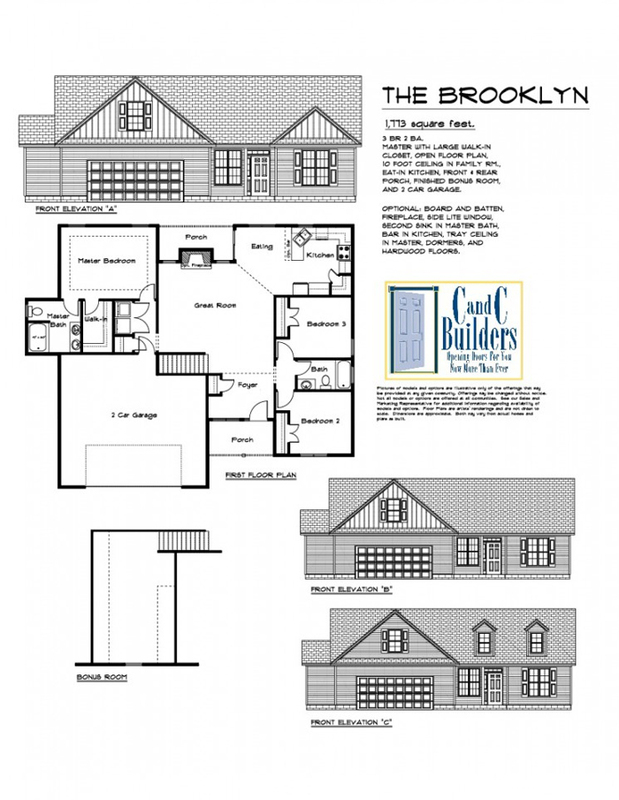 The Brooklyn, 1773 square feet, 3 bedrooms, 2 bathrooms, Smooth ceilings, santa fe style interior doors, bronze fixture package, site built cabinets, granite countertops, hardwood floors in foyer, Ventless fireplace with gas logs. On the exterior is an automatic sprinkler system in the professionally landscaped front yard, 10 x 10 concrete patio, brick profile at bottom front, carriage style garage door with remotes and architectural shingles. "House shown is not actual house at this location, for representational purposes only".